*Please note: Your order will not be processed until 4 digit code validation is completed. *Approved applicants only. Fees, terms, conditions & minimum finance amounts apply, incl $99 Annual Fee charged on the account open date and annually on the anniversary of that date. Annual Fee must be paid in full within 90 days or it will attract interest. 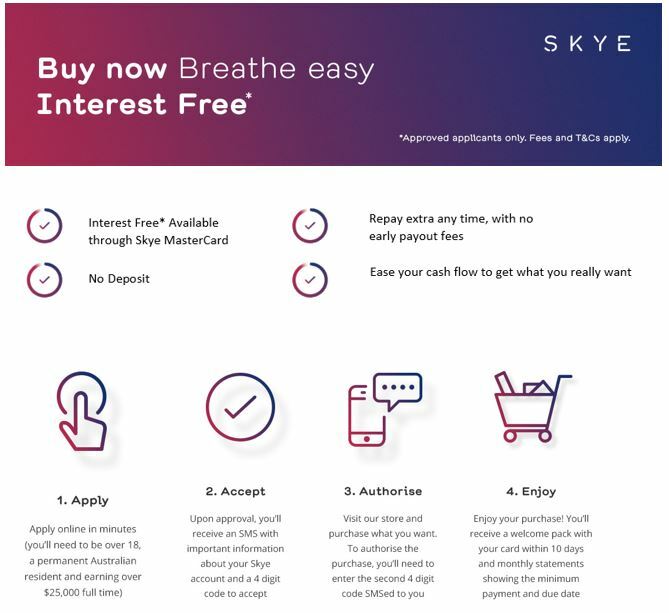 ^90 days Interest Free and no repayments available on all Skye Mastercard purchases (excluding cash withdrawals). Any outstanding balance after the 90 day Interest Free and no repayment period reverts to the standard Card Purchase Rate. Minimum monthly repayment may be required. Interest (charged at standard Expired Promotional Rate) is payable on the balance outstanding after any Interest Free term. 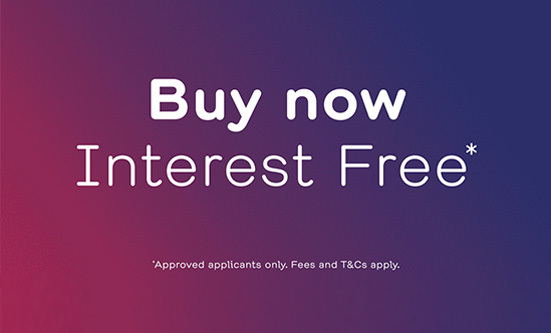 See skyecard.com.au for current interest rates. Credit provided by FlexiCards Australia Pty Ltd ABN 31 099 651 877 Australian Credit Licence number 247415. Skye is a trademark of FlexiCards Australia Pty Ltd, a subsidiary of FlexiGroup Limited. Mastercard is a registered trademark, and the circles design is a trademark of Mastercard International Incorporated. Benefit now and spread the cost!